Hillbilly Produce Market is soon closing the doors of its iconic Independence Boulevard store. The year-round farmer’s market -- known for selling a variety of items including locally grown fruits and vegetables, meats and landscaping materials -- opened in Charlotte in 1984. The market’s owner, Marshall Surface, sold the property at 7024 Independence Boulevard to Charlotte-based Hendrick Automotive Group, which owns the property around the store, public records show. A Hendrick spokesman said the company doesn't have any plans announced for the space yet but bought it for the flexibility to build eventually. Dylan Thompson, the market’s manager, said the 31-year old market will close within “a week or two” after it has cleared out its remaining inventory. Hillbilly Produce Market will reopen in a new location once the right one is found, Thompson said. Right now the market's management is looking at a few locations "pretty much everywhere, from Eastland Mall to a little bit east of Sardis Road North." The market's owner could not be reached for comment. Workout Anytime is opening six new clubs in Charlotte this year, and first two will open early this spring. The gyms will be open 24 hours a day, seven days a week and every day of the year. For now, the low-cost clubs are concentrated mostly in Georgia and Tennessee, said Kevin Edmonds, area developer of Workout Anytime in North Carolina. There are currently about a dozen clubs in North Carolina -- in Cary, Greensboro and Winston Salem -- and in addition to the new Charlotte locations, clubs are also slated to open in Asheboro and Winston Salem early this year. The company is planning for an "additional 8-12 coming before the end of 2016" in Charlotte. "We've been eyeing it since day one because when you want to make a presence in the Carolinas, you know you have to have, to be a nationally known company, you have to be in the larger cities," said Kevin Edmonds. The first two clubs in Charlotte will be in the Catawba Village shopping Center on Mount Holly-Huntersville Road (opening in March) and on Roxie Street Northeast in Kannapolis (opening in April.) Membership presales have begun, Edmonds said. Basic membership to the workout facility is $15 a month, Edmonds said, and a premium membership is $25 a month and includes unlimited tanning and access to a hydro massage bed services. As part of its Gabe's debut in North Carolina, Gabriel Brothers, Inc. is closing two of its Rugged Warehouses and opening as two new Gabe's stores in Gastonia and Greensboro. It will hire 170 workers at each new store. Gabe's is a bigger version of Rugged Warehouse that offers a larger selection of merchandise, including footwear, adult and children's clothing, small electronics and beauty products. The Morgantown, W.Va., retailer says its prices are up to 70 percent lower than those of department stores. The new 50,000 square-foot Gastonia store will reside in the Akers Corners Shopping Center, about a quarter mile from the old Rugged Warehouse. The Greensboro location, also 50,000 square-feet, will be in the same shopping complex as the former Rugged Warehouse. Both open March 7. The company will retain Rugged Warehouse employees and will hire another 170 part-time and full-time associates, according to Dominic Vicencio, the company's senior marketing manager. The company is hiring for "leadership positions as well as supervisory, customer service, cashier and stocking roles," according to its website. The company didn't disclose pay for the Gabe's stores employees, but Vicencio said it'll be similar to what workers made at Rugged Warehouse. To fill those positions, on both Feb. 4 and 5 the two stores are hosting separate hiring events, each starting at 9 a.m. At Gastonia, the event will take place at the Gastonia Convention Center, located at 145 South Marietta Street. In Greensboro, it'll be at the Kalif Center at 2000 East Wendover Avenue. Including two Rugged Warehouses in Charlotte, Gabriel Brothers operates 45 stores in Kentucky, Maryland, Ohio, Pennsylvania, South Carolina, Virginia and West Virginia. Vicencio said there are no current plans for changes at its other North Carolina stores. A new service in Charlotte allows you to have your craft beer and drink it too without even having to leave the house. The newly launched Brewpublik delivers four types of craft beer within a 30-minute radius of uptown Charlotte in either 12-pack (for $35) or 24-pack (for $60) hand-crafted wooden crates once a month. Like Pandora, the service uses an algorithm (or as they call it, a "beergorithm") to curate a selection of craft beers based on the customer's taste. According to its website, Brewpublik has access to any beer distributor in North Carolina, or over 600 different beers. With each delivery, Brewpublik offers a beer information sheet that includes a description of the beer, how it's made, background on the brewer and food that complements it. The Charlotte company was started by Zach Jamison and Charlie Mulligan, "two dudes" who live on Hawthorne Lane, according the company's website. The two said they plan to expand the service to other cities in the Southeast in coming months. "We think Charlotte is developing a thirst for craft beer and we want to help customers discover and experience these new beers that are being created both in our backyard and all over the country," Mulligan said in a statement. The wait will soon be over. The new Walmart Neighborhood Market at 8800 East W.T. Harris Boulevard "is set to open this spring," according to Amanda Henneberg, a Walmart spokeswoman. The Neighborhood Market concept is Walmart's answer to traditional supermarkets. Like other markets, the Harris Boulevard location, located near the Albemarle Road intersection, will be around 41,00 square feet, the size of a typical grocery store, and will employ about 95 people. The stores typically offer a variety of grocery items, from meats to frozen foods and produce, as well as pet and cleaning supplies. Shoppers can order an assortment of items from Walmart's website for delivery at local Neighborhood Markets. According to Chain Store Guide, Walmart is the biggest grocery store in the Charlotte area, surpassing Harris Teeter and Publix. We'll update this blog when we know the exact opening of the new location. Fresh to Order, which offers a variety of freshly prepared seasonal menu items for about $10 or less, is gearing up to open its first Charlotte location Saturday in Carolina Place Mall. The Alpharetta, Georgia-based “fast-dine” restaurant said it plans to open eight North Carolina locations over the next five years. The “chef-inspired” menu features dishes like crushed-almond crusted tuna steak and brown sugar roasted pork loin, along with a variety of soups, salads and sandwiches, all prepared in less than 10 minutes. "What we want to show Charlotte is that you don’t have to sacrifice flavor or your well-being to enjoy a fast, affordable meal,” Pierre Panos, the founder and CEO, said in a statement. Panos, who has developed several restaurant concepts including Stony River and franchises several Papa Johns stores, opened the first Fresh to Order in 2006. The restaurant has about a dozen other locations in Florida, Georgia and Tennessee. Its menu can be viewed here. Continuing its foray into the grocery store business, Walmart is opening a Neighborhood Market in Rock Hill that will be open 24-hours-a-day, seven days a week. The store is set to open Wednesday after a brief ribbon-cutting ceremony at 7:30 a.m. Located at 1225 Cherry Road, the supermarket will offer an assortment of groceries including meats and produce as well as other merchandise like pet supplies and beauty products. It will also have a bakery, pharmacy and gas station. “We are here to provide our customers with their everyday groceries in a hassle-free environment,” store manager Philip Cook said in a statement. The latest Neighborhood Market is 41,00 square feet, about the size of a regular supermarket but much smaller than a Walmart SuperCenter. The company said the latest location employs 95 full- and part-time workers. The biggest retailer in the U.S., Walmart is also the biggest grocer in the Charlotte area by retail sales, according to Chain Store Guide. It operates over a dozen Neighborhood Markets in North Carolina. It's going to be a little easier making a pit stop for a Big Mac if you're driving down South Boulevard. To improve accessibility, the popular fast food restaurant on Arrowood Drive and South Boulevard is moving into a new building across the street and on the other side of the light rail. Morgan Property Group said last week that it purchased the plot of land on the northeast corner of South Boulevard and Starbrook Drive, where it'll build a 4,446 square-foot new building with dual drive-thru lanes. Through its affiliate Four Names Reality, MPG bought 1.2 acres at the new location mid-January for $1.5 million from Shastri and Associates. According to a statement from MPG, McDonald's has executed a long-term lease with Four Names Realty. ''It is exciting to see McDonald's moving to a new location that will not only better serve its customers traveling along South Boulevard, but also increase their visibility,'' said Jeff Surrency, MPG's executive vice president of development. The group did not provide specifics about a schedule for construction. Hef's Bar & Grill has traded up for bigger, snazzier digs. After about three months of construction, Hef's – which according to Yelp, is popular for its wings and happy hour – is reopening its doors Saturday in a new space more than three times bigger than its last location, where it stood for about a decade. The restaurant was previously situated in Parketown Village in Myers Park, across the street from the Park Road Shopping Center. Its new spot, a former O'Charley's at 1920 Sardis Road, is almost 5,500 square feet, owner Andy Tao said – a big upgrade from its former space of about 1,500 square feet. ''We decided to go big when the lease was up,'' Tao said. The new restaurant will feature about 27 televisions and a patio will be built in the spring, Tao said. Except for a few new Asian-inspired items, the menu will largely be unchanged. David Tschirhart, a commercial broker at Legacy Real Estate Advisors, represents the landlord of the new building. He said the area is ripe for business growth since more people have moved in nearby. ''That area's seen a lot of apartment growth and people are there now versus 7 or 8 years ago,'' Tschirhart said. Carowinds is gearing up early for its upcoming season with a wave of hiring for its popular theme park off I-77. The park will take on 2,200 part-time workers for a variety of positions to staff rides, attractions and events for the 2015 season, which runs March 28 through Nov. 1. Carowinds is staffing in several departments, from admissions and guest services to rides and maintenance. ''Our goal is to put together a strong team with a gold star work ethic to deliver our guests their 'best-day-of-summer,''' said Mike Fehnel, Carowinds vice president and general manager. Applicants must be at least 15 years old and can apply online. According to a statement from the park last week, job seekers should then visit Carowinds' employment office on Catawba Trace, just off Carowinds Boulevard, for a pre-screen interview. The park said as part of a $50 million multiyear investment, it's building two new rides: the Fury 325, the world's tallest and fastest ''giga coaster'' that lifts riders 325 feet up before plunging them down at an 81-degree drop at almost 100 miles per hour, and the SlingShot, which hurls two people in a capsule 295 feet into the air at almost 60 miles per hour before slinging them back to the ground. Teen retailer Garage announced Wednesday it will open its first Charlotte store in Carolina Place Mall this spring. The Canadian fashion company, which sells apparel and accessories geared towards young women, will be located in the center court of the mall next to Starbucks. The news of Garage’s opening comes as many other teen retailers like Wet Seal and Delia’s are struggling to survive. Both recently filed for bankruptcy. Garage’s parent company – Groupe Dynamite, which also owns a brand called Dynamite – operates more than 300 brick-and-mortar stores globally, according to its website. The company operates one other North Carolina store in Raleigh. Lowe's Companies announced today that it plans to hire about 240 seasonal workers for its 14 stores in the Charlotte area. In total, the Mooresville-based company said it plans to take on 30,000 seasonal employees across the country this spring, the busiest time of year for home improvement projects. Positions include cashiers, lawn and garden employees, loaders and stockers. According to Lowe's, most of its seasonal employees work at least 20 hours a week. The home improvement retailer has already begun hiring in warmer states such as Florida, California, Texas and Arizona. ''To help make shopping and selection easier, we want our stores staffed with knowledgeable employees who'll provide exceptional service for customers,'' Scott Purvis, Lowe's vice president of human resource operations, said in a statement. Lowe's is the second-biggest home improvement company in the country behind Home Depot and operates more than 1,800 stores in North America. Tropical Smoothie Café said over the next 'several years' it hopes to expand its Charlotte presence by about 20 new stores. There are currently two in the area in Midtown and Ballantyne. The Atlanta-based company opened its 400th café last year and signed franchise development agreements for 101 new locations, up 28 percent from 2013, in several cities including Charlotte. By 2015, the company hopes to operate 500 stores nationwide. Charles Watson, the restaurant’s vice president of franchise development, said the company is on pace to open a total of seven more cafes in North Carolina this year, including “probably three more” Charlotte-area locations this year. One more will be from a current franchisee Everette Brown, a former Panthers defensive end. “(Given) the disposable income, home prices and the growth of Charlotte as a city, we think that Charlotte is a great fit for the demographics that Tropical Smoothie Café goes after,” Watson said. Further, Watson said, expansion in the Charlotte area fits well with the regional growth strategy of the company, which operates about 80 locations in Virginia and about 120 in Florida. “The Carolinas for us are huge in terms of connecting the dots on down to Georgia. That’s really our goal as we try to saturate the Southeast,” Watson said. Tropical Smoothie Café, which sells “better-for-you food and smoothies,” reported 11.4 percent comparable store sales growth in 2014, meaning growth in stores that have been open at least a year. Following a slew of other troubled teen clothing companies, young women's fashion retailer Wet Seal has filed for Chapter 11 bankruptcy, the company said Friday. The retailer said it'll receive a $20 million loan from B. Riley Financial to keep its remaining 173 stores open, effectively making B. Riley the majority shareholder of the reorganized company once it exits bankruptcy protection. Last week the company announced it was closing 338 – about two-thirds – of its brick-and-mortar stores effective ''on or about'' Jan. 7, resulting in the loss of 3,695 full and part-time positions. According to the company's website, there are four stores still in North Carolina – including one at Carolina Place Mall and at Concord Mills – and two in South Carolina. The quick closing of dozens of stores was a frustrating surprise to many employees and shoppers who took to social media with the hastags #forgetwetseal and #boycottwetseal. Wet Seal last month reported another quarter of sales and earnings drops, losses Thomas described as ''ongoing challenges.'' But the Foothill Ranch, Calif. company isn't the only struggling teen retailer. Last month both Delia's Inc. and Deb Stores filed for bankruptcy, and Aeropostale, American Eagle and Abercrombie and Fitch have all experienced sagging sales as teens gravitate more towards ''fast fashion'' retailers like Forever 21 and Zara, as well as electronics like Beats by Dre and iPhones. Brian Yarbrough, an Edward Jones retail analyst, said this is the most bankruptcy filings he's seen in the industry in about 15 years. The struggle for teen retailers is driven by a number of factors, said Yarbrough, who doesn't cover Wet Seal specifically. ''Teens would rather buy a $4 t-shirt and replace it in five months than buy a $25 t-shirt and keep it forever,'' Yarbrough said. What's more, there's been a ''lack of excitement'' in trends that drive young shoppers, like jeans in the 2000s, Yarbrough said. Wet Seal could not be reached for comment. Will a grocery store take the place of the former Dilworth Blacklion? While it's not known what will take the place of the former Blacklion space in the Dilworth Gardens shopping center, it’s looking more likely a small grocery store could move in. The majority of the work is “internal to existing structure,” according to the request. The space formerly occupied by the home furnishings store, which closed Monday, is 14,200 square feet, a little bigger than the standard Trader Joe’s but about one-third the size of a traditional Charlotte-area supermarket like Harris Teeter or Publix. Natural foods market Talley's Green Grocery previously occupied the space before it closed in 2008 after 17 years in business. Brad Murr – a managing partner MPV Properties, which manages the Dilworth Gardens property – said in an email to the Observer that they’re a “couple weeks away” from announcing the Blacklion replacement. Kimley-Horn could not be reached for comment. Charlotte just can’t catch a break this week. First no more Chiquita, then no more Chipotle pork. Now we’ve learned we’re not actually one of the top spots for job seekers in the U.S.
A report from consumer financial site NerdWallet earlier this week originally said North Carolina’s biggest town was No. 3 based on measures of affordability, workforce growth and job availability. That third category, which leaned on metro unemployment figures, is where the original numbers looked a little sketchy. The Observer asked the site’s analysts to reexamine the figures and we learned that not only had October – not November – figures been used, but NerdWallet also confused Charlotte’s jobless rate with that of Charlottesville, Virginia. Charlotte’s October unemployment rate was 5.6 percent, not 4.1 percent. This effectively ripped the bronze metal from Charlotte and throws the city to a disappointing No. 26. Columbus, Ohio now occupies the No. 3 spot. The silver lining: Charlotte’s November unemployment rate, the most recent available from the Labor Department, was 5.4 percent, a notch below the national average of 5.6 percent. And NerdWallet confirmed that the growth rate of Charlotte’s workforce – at 12.7 percent – is one of the fastest in the country. BJ’s Wholesale Club will open “later this year” in the Metropolitan complex in Midtown, the retailer and Property Markets Group confirmed Wednesday. The group purchased the $14 million vacant Home Depot Design Center, just below Target. Home Depot vacated the space during the economic downturn in 2009, about a year after opening. It’s been vacant ever since. “The proximity to the thriving downtown and the availability of free parking makes this a convenient stop for commuters as well as for the surrounding communities,” Roy Perez-Daple, vice president of retail leasing and development for PMG Retail, said in the statement. The wholesale market will take up 101,000 square feet of the property and PMG said it’s looking for a tenant to occupy the remaining 21,000 square feet to complete the project. The retail group said Carmel Contractors will handle building at the site, that Collett Management will manage the property and that ColeJenest & Stone will handle the project’s civil engineering. Westborough, Massachusetts-based BJ’s operates 207 clubs and 121 gas stations in 15 states. Locally, BJ’s has store locations in Mooresville, Concord and Pineville. Publix Super Markets announced a new store in Cornelius that’ll host a grand opening Feb. 4 at 7 a.m. The Lakeland, Florida-based grocer’s tenth store in North Carolina will be located at 8315 Magnolia Estates Drive, in the Magnolia Plaza shopping center. Like many of the company’s North Carolina locations, the newest store is just down the street from competitor Harris Teeter. By 2016, the grocery store will have 15 locations in the Charlotte area along with stores in Asheville and Cary. The company also opened a Mint Hill supermarket last week and plans are underway for stores in South End and Lake Wylie as well. After three years of writing about retail and shops here in Charlotte, I am moving over to cover economic development for the Observer. I'll be writing about shiny new buildings, splashy redevelopments and the growth at Charlotte Douglas International Airport. I'll also be covering all of the issues that go along with development: Traffic, affordability, sprawl and more. But don't worry, "What's in Store" isn't going away. 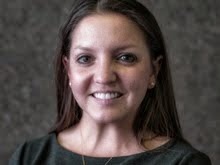 Our new retail reporter, Katie Peralta, is taking over. She'll be breaking news and keeping you up to date about the latest store openings. You can find me on the Observer's development blog, which I'm going to start writing on this week. See you there! Charlotte Premium Outlets said Friday that a Levi's Outlet Store and Vera Bradley will soon join its lineup of retailers. Vera Bradley is slated to open in the spring, in an almost 3,000 square-foot space. The store will sell quilted handbags, luggage, stationery, gifts and other accessories. Levi's, also set to open this spring, will occupy a 4,000 square-foot store selling jeans and other apparel. Charlotte Premium Outlets in Steele Creek is an almost 400,000 square-foot shopping center with about 100 retailers. 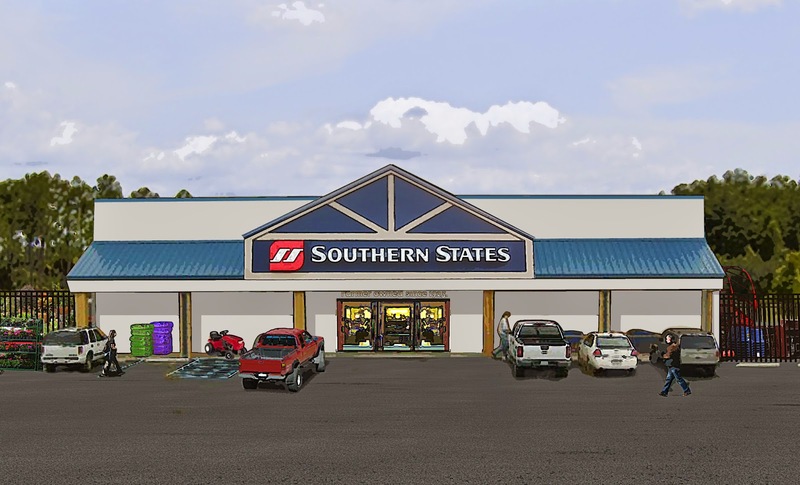 Southern States, one of the largest farm suppliers in the Charlotte region, is adding to its local presence with a new store in Rock Hill. The company plans to complete construction on the location on North Anderson Road in April and hold a grand opening in May. The company operates stores in Gaston, Iredell and Union counties. The company opened its newest location in August, in Union County, and plans to add more stores around Charlotte in the coming years. "As one of the company’s largest stores to date, the superstore will feature a 12,000 square-foot showroom, along with a 10,000 square-foot outside display that will feature gates, bunk feeders, fencing, and other farm-related products. The showroom will provide a wide range of farm and home supplies, including a large assortment of animal feeds, fertilizer, seed and animal health supplies. “We want these new stores to be a one-stop shopping destination for farmers and those that like living in rural America,” said Steve Patterson, vice president of marketing and communications. It will bring 10-15 full and part-time jobs to the area."